More Earrings Please! 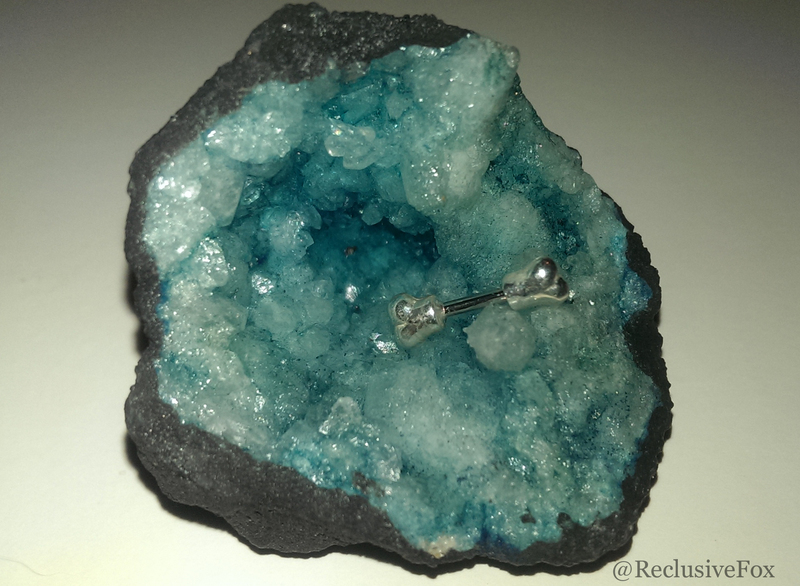 - Body Jewellery Shop - Reclusive Fox ""
I was 13 when I first had my first ear piercing. I nagged my mum for years and finally she let me have them done as a birthday treat. That was the day I had my first panic attack – not that I knew it at the time mind you! As soon as my ears were pierced my vision blurred, I got extremely hot and felt like I was going to faint. After being splashed with some water I was able to leave and within six weeks I was wearing horribly heavy earrings to match my rock chick style. Within less than one year I let them close up and it wasn’t until two years ago, at the ripe old age of 35, that I had them re-pierced (I did them myself for fear of having another panic attack). I also had my nose pierced at 15 but I let that close up pretty soon too. I am now collecting earrings so when EtailPR matched me together with the Body Jewellery Shop and sent me a pair of earrings and a lobe and upper ear stud I was really pleased; my collection is finally growing! I always said that I would let my daughter have her ears pierced when she showed real interest and when I believed she would be able to take care of them properly during the healing process. She was 10 when she had her firsts and since then she has had her seconds and now she has a helix piercing too. If she had her way she would have her loads of others including her belly button and her hips – yes, hips!!! I am so far drawing the line at those but I don’t have problems with her ears for now, there’s plenty of time for other piercings later on. Elle’s helix piercing is really pretty and she has now claimed the steel and silver helix bar bone piercing as her own. I love the design and one of the reasons for this is the practicality of it. If you’ve ever tried to put a stud in the helix piercing you’ll know the little ball that secure it on the ear is such a nightmare to attach. Well, the bone design fits nicely in the fingers making it so much easier to put in. 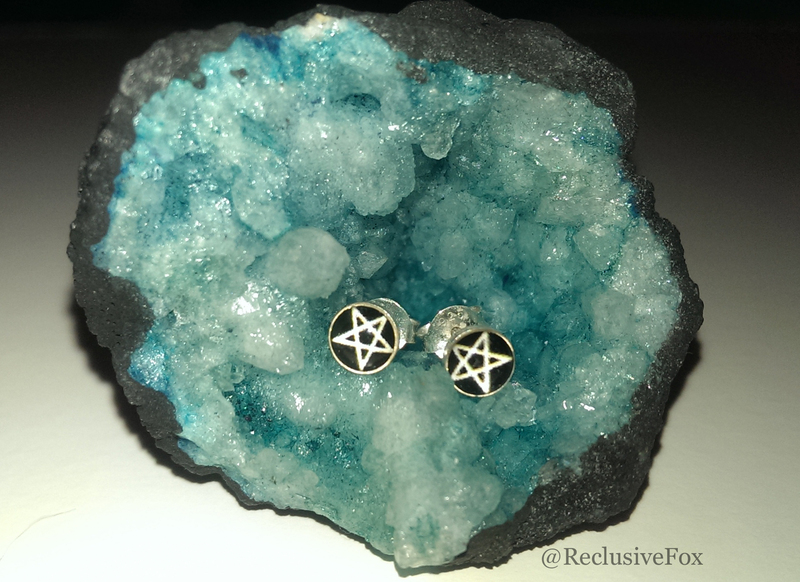 Elle wanted the pentagram earrings too but I have snagged these for myself. 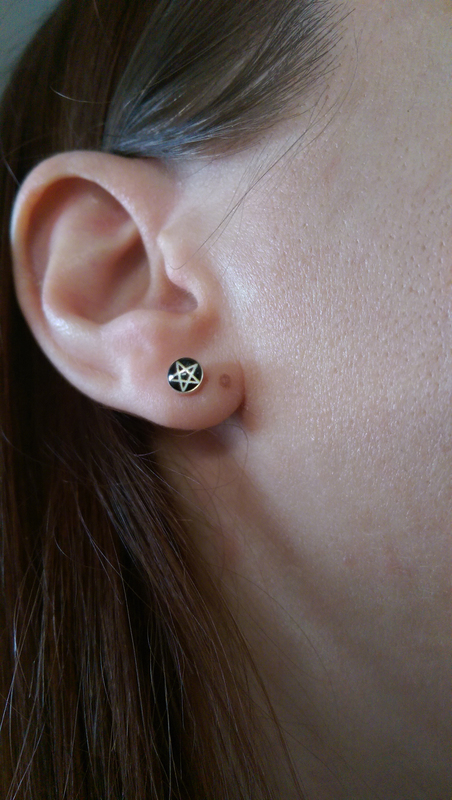 A fantastic buy for only £1.99 The rock chick in me has always loved the pentagram so these are just perfect. Great earrings, great prices and very happy mum and daughter, go take a look. I always lose ear-rings so haven’t changed mine for months. I love the pentagram ear-rings, so cute. Love the earrings , i always feel under dressed without my earrings and have a huge amount ! no outfit is complete without earrings!